When Sister Gerrie Naughton, of the Sisters of Mercy order, came to Las Milpas in 1987, she did not have a specific plan. According to her, the plan “revealed itself, step by step, through her interaction with the women of the Las Milpas community.” She understood that in order to build a sustainable project, it had to be done by the women and led by them as well. Her first task was to gain their trust. When transplanted from their homeland to their new host country, many residents had lost their sense of community and replaced it with fear and isolation. 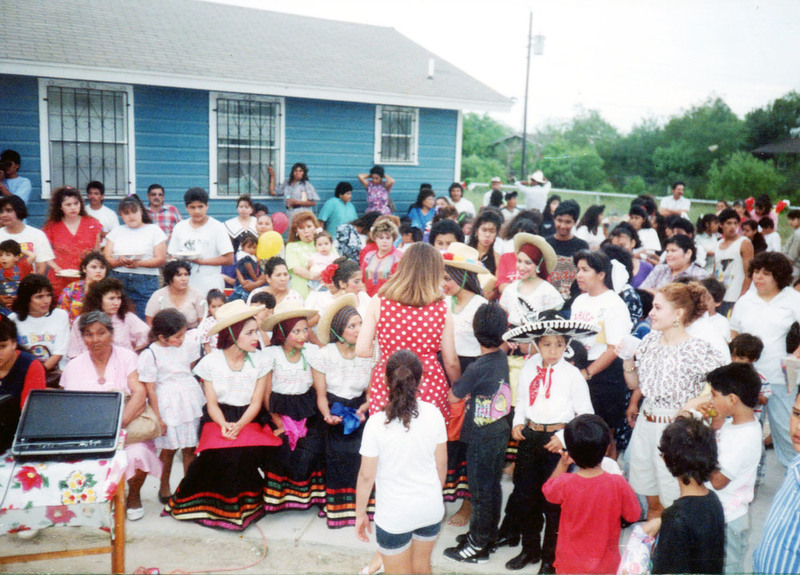 The first of four ARISE Centers opened in Las Milpas, a poor colonia along the south Texas border with Mexico, in 1987. Back then, the area was barely developed. There was no pavement, flooding was a recurrent problem, and there were no basic services. Its residents were discriminated against by other Mexicans who lived in the nearest town of Pharr because they saw them as “poor immigrants.” In over twenty years, the community has experienced many changes, some good and some not so good. NAFTA, for instance, brought a lot of development to Las Milpas, but truck traffic to and from the border has increased congestion, noise, and air pollution. Drug traffic along the border has also gone up. On the positive side, Las Milpas now has two new elementary schools. Residents collected signatures to get a doctor and clinic in town, and there is even a pharmacy in the community.